In a previous post, we talked about using substitution to find the limit of a function. Sometimes substitution does not immediately work, like when the limit is one of the indeterminate forms. In this case, we must algebraically manipulate the function first. We will focus on factoring the function in order to use substitution. 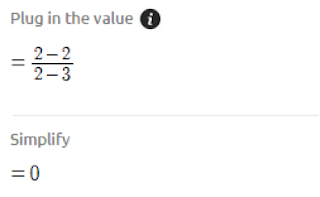 When we substitute 2 in for x, we get 0/0, an indeterminate. Therefore, we must manipulate the fraction. 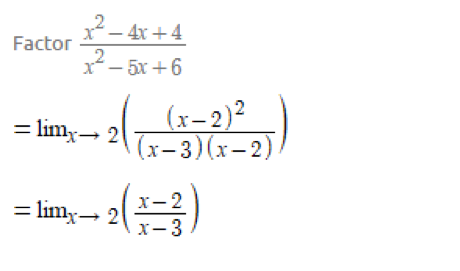 Once factored, the numerator and the denominator showed that they have a common factor, (x-2). This factor was then cancelled out, leaving a simplified fraction. 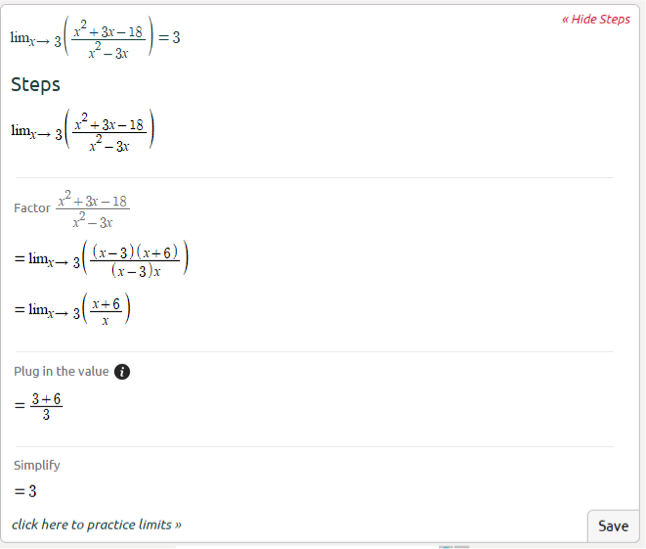 I did not find factoring to be too challenging. 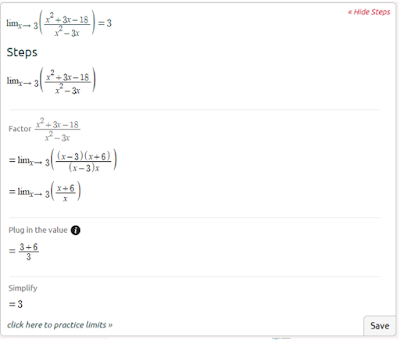 The only obstacle I came across when dealing with limits was remembering that factoring is an option. 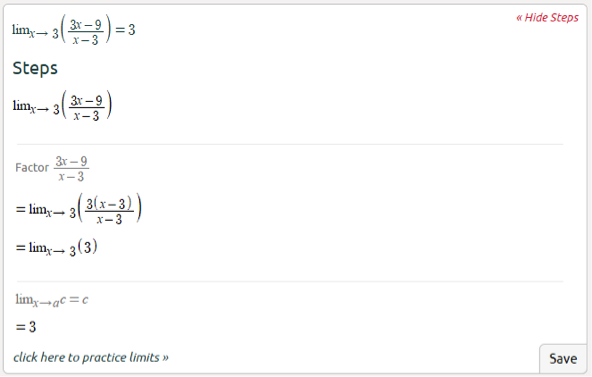 Don’t forget that there are multiple ways to solve the limit. Hey Guys! I’m Leah Weil. 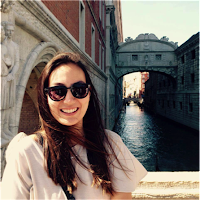 I am interning with Symbolab for the summer and will be writing some of the upcoming blogs. I will tell you a little bit about myself. I am from Cincinnati, OH, but I currently live in Columbus, OH. I am about to start my 3rd year at the Ohio State University studying math, with a minor in Hebrew. I have an older sister who lives in New York and at home I have two dogs. Please comment the posts if you have any questions or comments. Thanks! I am Orivaldo, I live in Brasil. But I wil like talking you to pratice . Bye and have you a nice time. Her grandmother could barely speak English. Her native language was German. But it didn't bother me like papergrader. Do you know that you can easily enter to any college in USA with a help of this https://admission-writer.com/blog/sat-essay admission writing service. I think you might try this service https://college-homework-help.org/blog/research-paper. They are good at research paper writing. Excellent and very exciting site. Love to watch. top 10 schoolKeep Rocking.